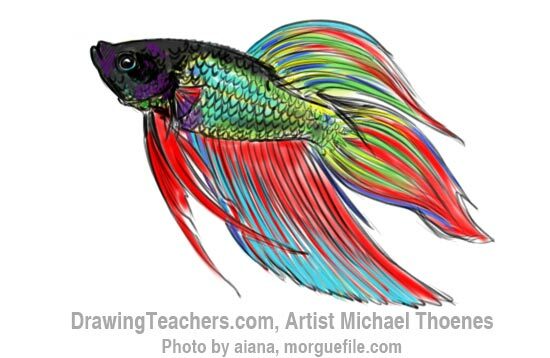 A Siamese Fighting Fish is an awesome fish to draw. 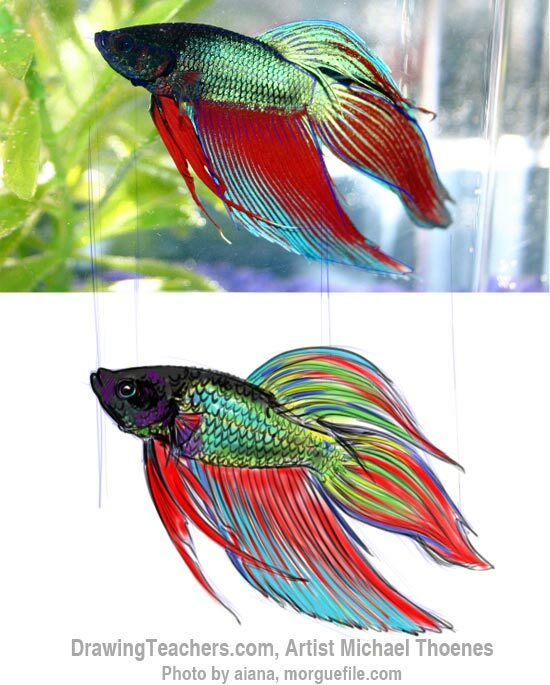 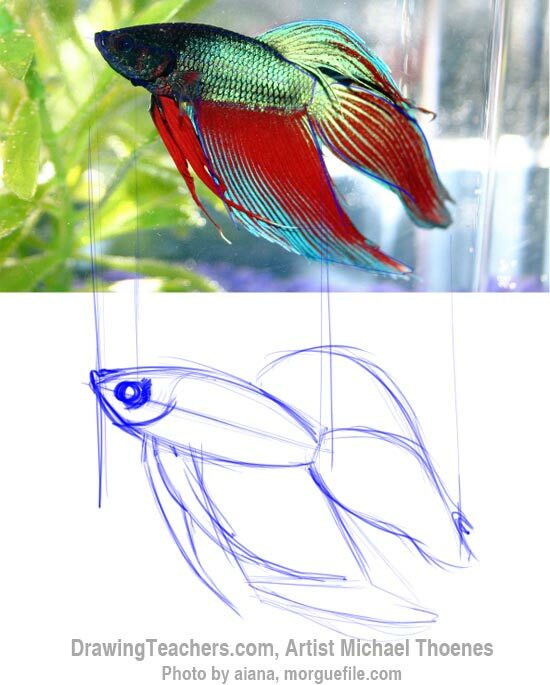 This art lesson uses a photo of a Siamese Fighting Fish as reference and shows how to draw and paint it. Study the reference image and if possible, print it and draw some lines onto your reference image as you study it. If you can't draw directly on your reference image, you could use tracing paper, acetate, or print a copy of it to draw on. Begin by drawing the basic fish body shape and placing the eye. 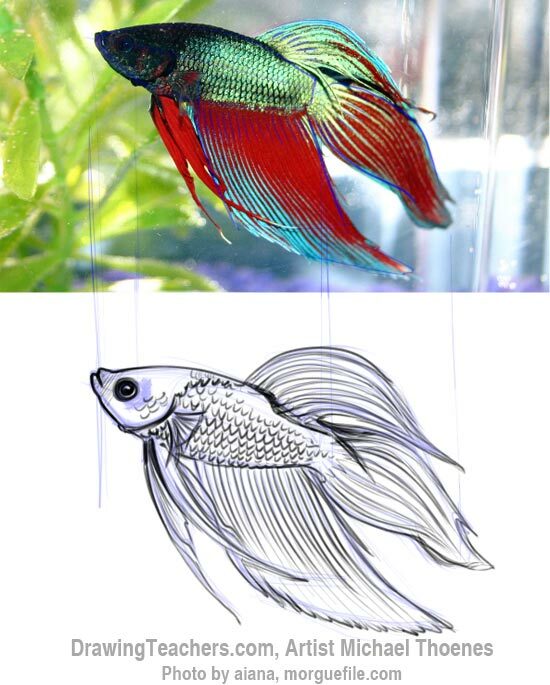 Refine the mouth and eye. Add detail tio the fins. 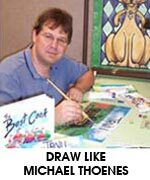 Clean up your sketch and begin to ink it in. Color your fish - block in the red. Color your fish - block in the yellow base. "How to Draw a Siamese Fighting Fish!"